The UMKC Conservatory Saxophone Studio is excited to share our new website with you! We have developed this site to serve as a space for people to check-in with upcoming events and learn more about the studio! For prospective students, this site will be a great way to learn more about the application and audition process. Resources will also be posted as a way for people to see what the studio is all about and what we strive for. We hope you enjoy connecting with us and learning more about our studio! Join us and the Conservatory Wind Ensemble as we kick off the new semester with a joint concert! 🎉 Hear us perform works by Lago, Mazzoli, Cuong, Giddens, and Love! Hear the wind ensemble, under the direction of Dr. Joe Parisi, perform works by Giannini, Jenkins, and Dooley. This concert is presented as a pre-concert to our upcoming performances at the Missouri Music Educators Association conference on January 24th. See you there! 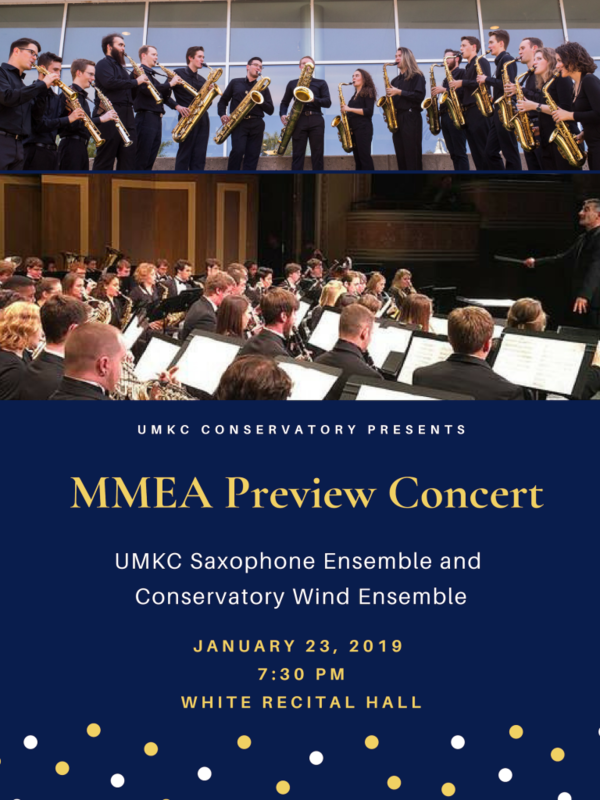 The UMKC Saxophone Ensemble is going to MMEA! 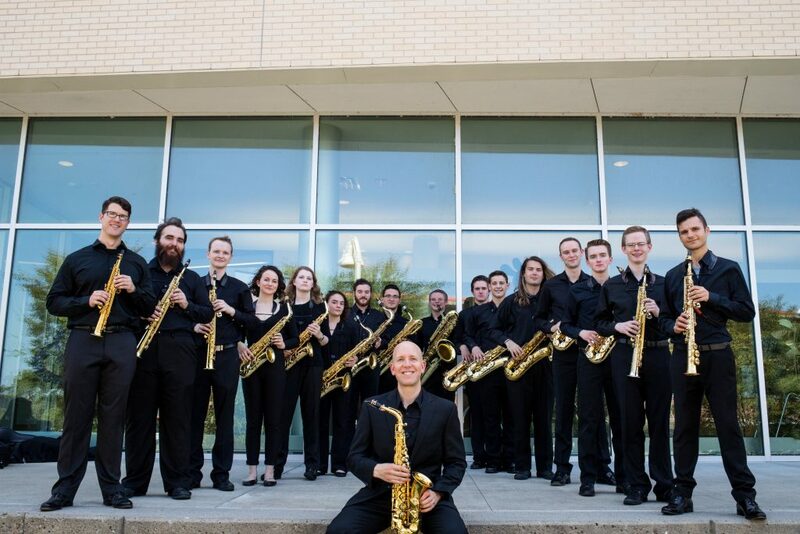 On January 24, 2019, the saxophone ensemble will travel to Tan-Tar-A resort in Missouri to present a joint concert with the Conservatory Wind Ensemble at the Missouri Music Educator’s Association Conference.